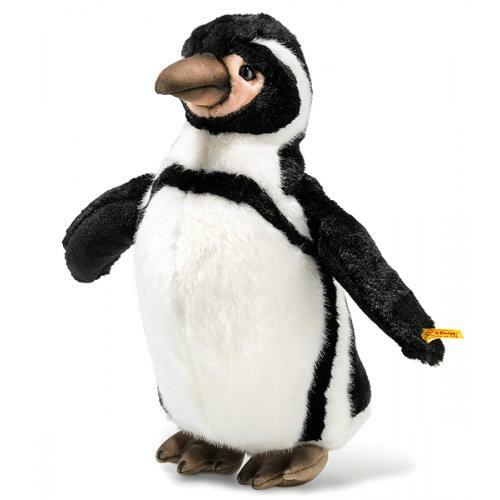 Steiff Hummi Humboldt Penguin, is made in beautiful black and white cuddly soft plush and wears the famous Steiff button in ear, together with the classic yellow ear tag. 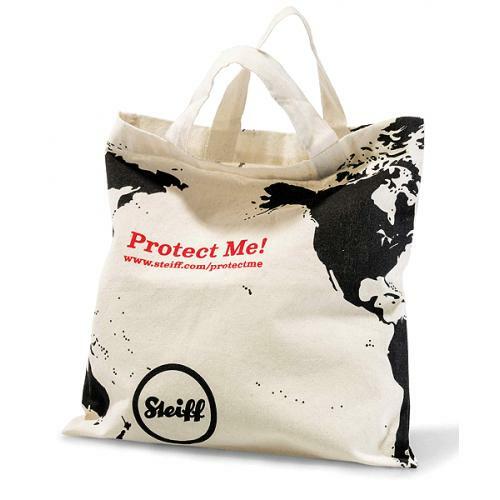 Comes with small, 'Protect Me' Cotton Canvas bag. 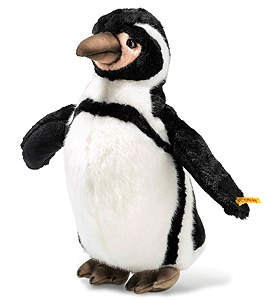 Meet Hummi, the Humboldt penguin from our new Protect Me series of endangered species. Hummi and his fellow Humboldt penguins live on the Pacific coast of Peru and Northern Chile and are unfortunately listed as an endangered species. Humboldt penguins are classified as "endangered." Humboldt penguins belong to the branded penguin classification. It is estimated that only 3,300 to 6,000 fully grown Humboldt penguins remain on the Pacific coast. Hummi is 35 cm tall with soft and cuddly fabric and airbrushing on his feet that give him a lifelike appearance. 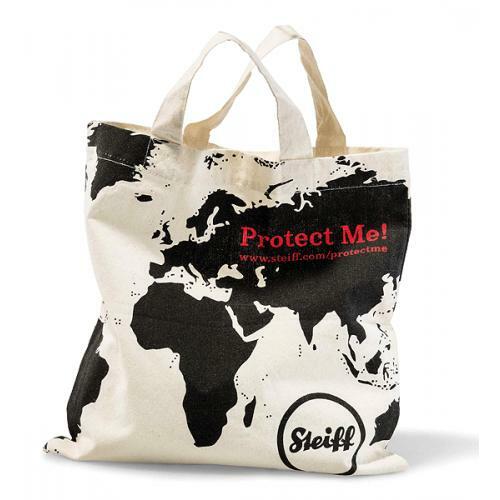 Tell your child about Hummi, and learn together with him about protecting endangered species  not only in zoos, but especially in their natural habitats. Hummi and his friends in South America will thank you and your family!